Entering the Preakness there was a whole lot of enthusiasm surrounding Stradivari - a rare Todd Pletcher Preakness entry. Given the hype, the fourth-place finish had to qualify as a disappointment -- and a costly one for many bettors, myself included, who imagined him figuring prominently in the exacta and trifecta. It was one rough race after two super-horse performances, but it is hardly reason to write him off entirely. He's still a very raw horse with plenty to learn, but his upside seems nearly limitless. So, does he take a major step forward here coming back just three weeks later in the Belmont? Or will his progress be more of the slow and steady variety? Last race: In many ways the race was over almost as soon as it started for Stradivari in the Preakness. He was very unsettled out of the gate and took quite a while to get comfortable. You can blame that on a number of potential causes - he had never run on a sloppy track before, the crowd was massive and loud on a scale he had never even sort of seen before, he was making his stakes debut so was up against a much better class of opponents, and so on. Whatever the reason, he wasted a lot of energy, and that probably doomed his effort in the end. He was fifth in the 11-horse field early on, which is slightly further back than would have been ideal. He also got out of position around a turn and was forced really wide - wasting more energy. He wound up fourth, but he did so without the devastating late charge that he had shown in his two earlier wins. It was far from a great race for him. It wasn't a total disaster, though, and if he can get a better start here - which Pletcher surely has been working on - then he could be a bigger factor. Career highlights: He made his debut in November, but no one talks about that race - he was fourth in a maiden field. It's the next two that are so darned compelling - a December maiden race at Gulfstream and an April allowance at Keeneland. In December he pressed the pace early, took over around the final turn, and just ran away from the field. He won by 11 lengths. Next time out people were expecting a lot from him, and he drew heavy betting action despite the long layoff. He didn't disappoint. He again pressed the early pace from second place, took over precisely when he decided he wanted to - entering the second turn - and pulled away even more dramatically and impressively than last time to win by 14 lengths. That's almost three seconds. Two races like that from any horse will get noticed - never mind from a horse in the stable of the country's top trainer. Jockey: You can certainly do worse than having John Velazquez aboard for the Belmont. He has won the race twice - with Rags to Riches and Union Rags. He has won well over 5,000 races. He has long been based in New York, so he knows every inch of this challenging track. He is among the very best jockeys on the planet. The riders in this race are very strong, but Stradivari wouldn't be better off trading with anyone else. Trainer: Todd Pletcher gets a whole lot of criticism for his incomprehensibly bad showing in the Kentucky Derby over the years. He basically ignores the Preakness. At the Belmont, though, he has been quite impressive - two wins and four seconds in just 20 career starts. It makes sense - he is based in New York, so he is comfortable and knows the track well, and his jockeys are also at their best here. For the first time on the Triple Crown trail each year, the Belmont marks the time when having Pletcher as a trainer is a major asset for a horse and not a liability. Pedigree: Stradivari was sired by Medaglia d'Oro. That horse was fourth in the Derby and second in the Belmont in 2002 and was also second in the Breeders' Cup Classic twice and second in the Dubai World Cup. He didn't have great racing luck, but he was consistently among the top horses in the world at classic distances. There is obviously stamina there. The damsire, American Chance, is far less impressive. He raced for a long time but had little of note to show for it. As a stud he died before he really got to show what he was capable of. Medaglia d'Oro and his blue blood definitely is the star of this pedigree. Running style: In a race in which seemingly every horse is a closer, it is refreshing to see something different. Stradivari is a horse that likes to press the pace early on, ideally sitting second or third through the early fractions. His issue, though, could be similar to the closers in this race - there is no natural early speed to press. If he sticks to his guns then he could be posting very slow early fractions. Instead, he may be forced to lead himself early on to get the race he wants. He won't want to go out too hard, though, or that helps Exaggerator and the rest of the horses behind him too much. Strategy is going to be huge for Velazquez and Pletcher here. Belmont outlook: I really wish that this wasn't just his fifth race or just his second stakes race. I like so much about the horse, but he just needs more seasoning against top-level horses. Still, in a field that lacks a whole lot of sparkle I definitely can imagine him being a big piece of it - especially if the right decisions are made for him early on. Bovada has him as the fifth pick in the field at 12/1 in early action. If I can get anywhere close to that price at post time I will be a very happy man. At this point he is firmly in my top three alongside Exaggerator and Suddenbreakingnews. Doc's Sports has been a leader in Triple Crown handicapping for more than four decades, and we have a great offer for new clients. Get $60 worth of Belmont Stakes picks free with no obligation to buy anything. Not credit card is needed, and you won't ever have to talk to a salesperson. 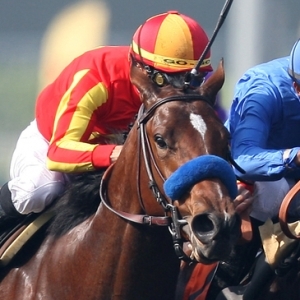 Get your $60 in Belmont Stakes picks here.